Lutheran Chaplaincy Outreach (LCO) provides funding for Pastor Cindy Breed to serve as the ELCA chaplain at theUniversity of Hospitals and Clinics (UIHC). She has been a chaplain there since 1997. 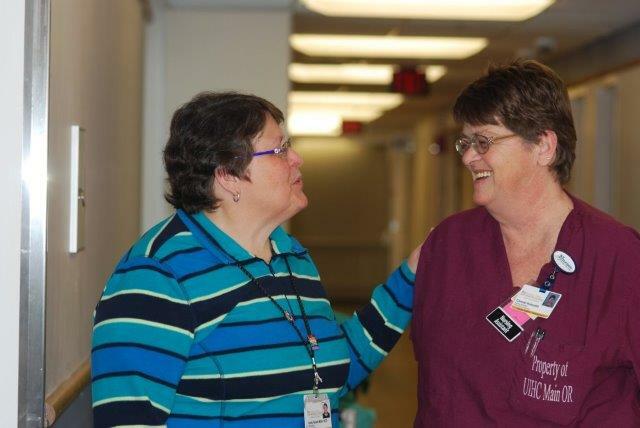 Chaplain Cindy is a dedicated and compassionate Lutheran pastor who knows the procedures at UIHC and provides comfort, reassurance, and hope to patients and families there. There are over 31,000 inpatients at University of Iowa Hospitals and Clinics each year and over 930,000 outpatient appointments in more than 200 clinics. In this 729 bed hospital, where the most seriously ill patients come from all over the country, the need is great for the love and hope of Jesus Christ to be shared. Here is a link to the UIHC website. The UIHC Spiritual Services website is Spiritual Services. To request Spiritual Care from Chaplain Breed, you can call Spiritual Care at 319-356-1616 or 6-1616 on a hospital phone and request Pastor Breed. You may also reach her by email at cindy-breed@uiowa.edu. The Lutheran Chaplaincy Outreach board of directors provides the direction, vision, and administration for this position and receives contributions from congregations, individuals, and organizations such as Women of the ELCA and Thrivent Financial for Lutherans to support the LCO Chaplain. This board, along with all the LCO committees, are comprised of volunteers who see the importance of this chaplain position. More volunteers are always needed. We encourage you to go to our Facebook page and friend us.